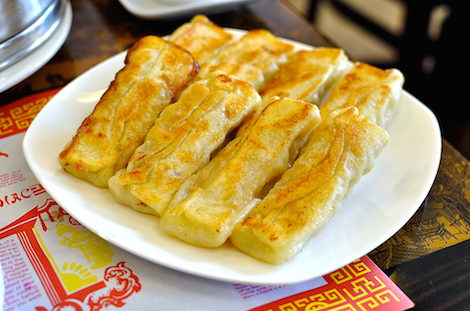 Ask a Japanese person to give some examples of Chinese food, and they’ll likely reply with things like chaahan (fried rice) and the quintessential gyoza (pot-stickers). With their crispy fried outsides and juicy, flavorful insides, you can’t go wrong with gyoza, and many would say that Chinese food chain GYOZANOMANSYU (餃子の満州), based in the Kanto region of Japan, is the leader of them all. Those wishing to take the gyoza experience a bit further can visit the hot-spring hotel Toumeikan in Gunma Prefecture, managed by GYOZANOMANSYU, and for a mere 5,900 yen per night (roughly US$59) you can stay in one of their cozy Japanese-style rooms, take a relaxing soak in the onsen hot springs, and get your fill at their breakfast buffet. Located deep in the mountains of Gunma, yet within a two- to three-hour drive from Tokyo, makes this a great place for a weekend getaway. Albeit one involving lots of garlic and chives. Being located in the mountains means the area gets a bit of snow in the winter, so a word of caution to those making the trip by car – you may need to bring chains. If you’re not confident enough driving in the snow, it might be best to opt for public transportation instead, or to wait for spring. After the long drive, what better way to unwind than by taking a soak in the onsen? The water is beautifully clean and the temperature just right for relaxing, and you can move freely between the indoor tubs and the outdoor bath (called rotenburo). You’ll want to make sure to wash yourself down first before hopping in, though, as is custom before entering the baths in Japanese onsen. You’ll probably be hungry once you’ve finished your soak, so it’s GYOZANOMASYU to the rescue with some piping-hot gyoza to fill your belly and a cold beer to cool you off. 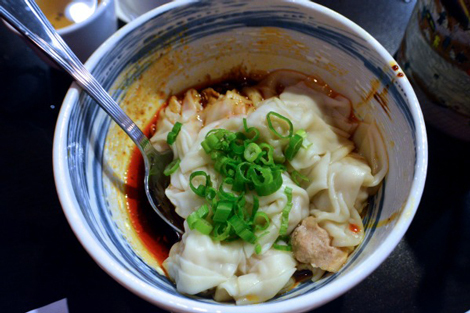 Of course, you’re not just limited to dumplings – there are other Chinese dishes aplenty to satiate your cravings, and you can eat and drink your fill for around 1,500 yen ($12.50). 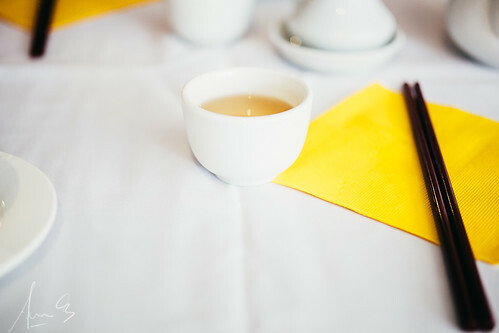 The breakfast buffet, which is included in the cost of your stay, includes various Chinese-style side dishes, a salad bar, rice, soup, and more. If you’re looking to get away for the weekend, relax, and eat some great food without breaking the bank, Toumeikan may be just the spot. 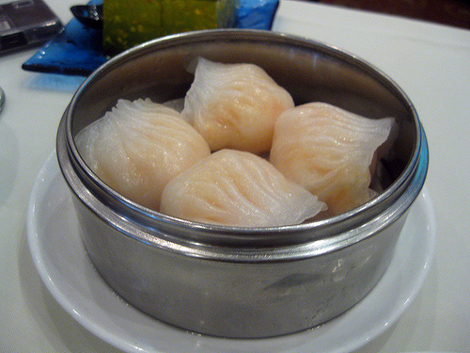 The Chinese culture in the United States has a very unique food scene, and if you’re a kid who has grown up in a Chinese household, you know that things were kind of different for you growing up. 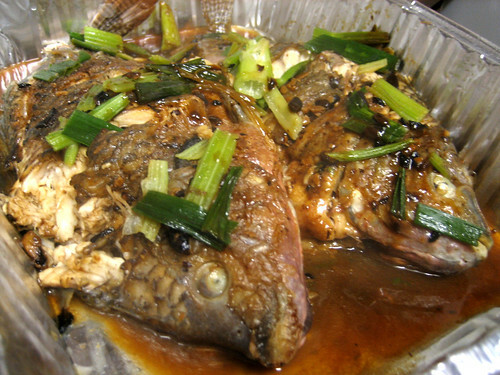 Most families incorporate American traditions with longstanding Chinese ones to create a very interesting hybrid of customs. 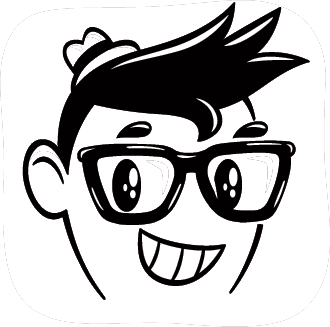 However, there are some strong Chinese traditions that withstand. 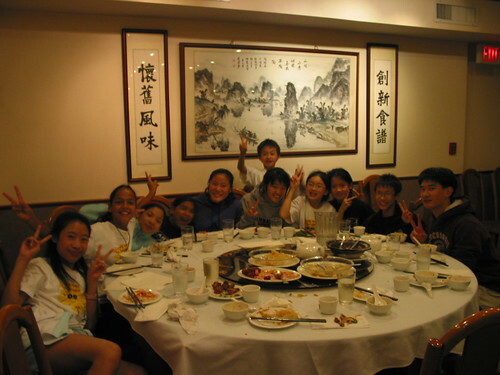 If you grew up in the U.S. with Chinese parents, you know that going out to banquet dinners is an experience only a seasoned Chinese-American could understand. And you know that you really just can’t be a picky eater if you want to gain any respect from your elders. For goodness sake, there are chicken feet on the table. 1. 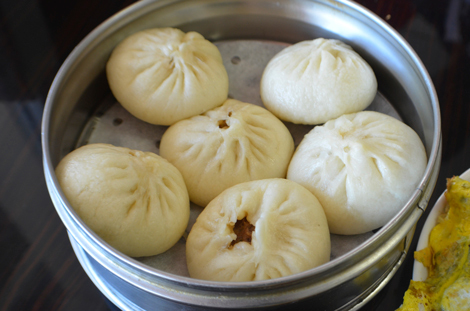 Baos make the best snack ever. 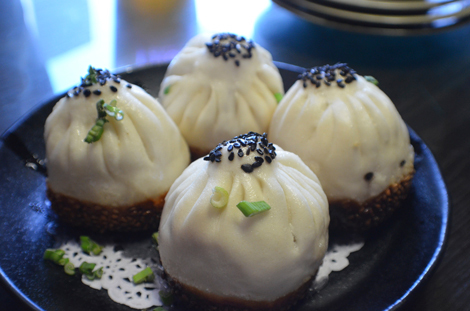 Specifically baos (steamed buns with meat or vegetable filling) packed with char siu (Chinese roasted barbecue pork). 2. 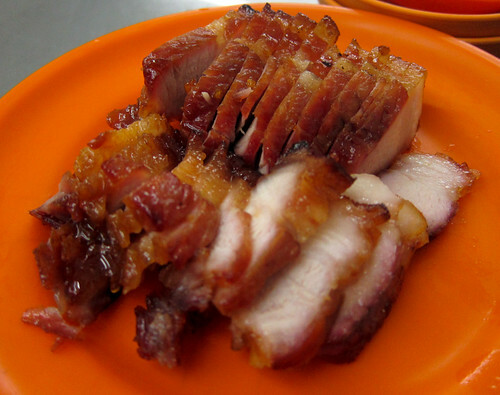 Or you could just snack on some char siu all on its own. 3. 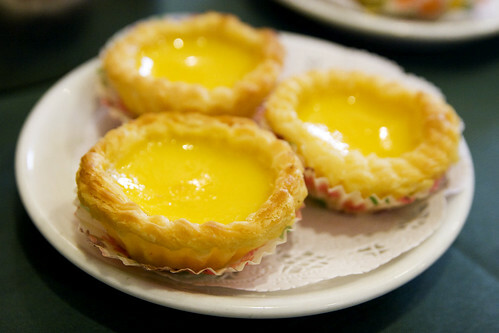 The best sweet indulgence is an egg tart. You may know them as “dan tats.” Whatever you call them, these pastries filled with egg custard are baked to a creamy perfection. 4. 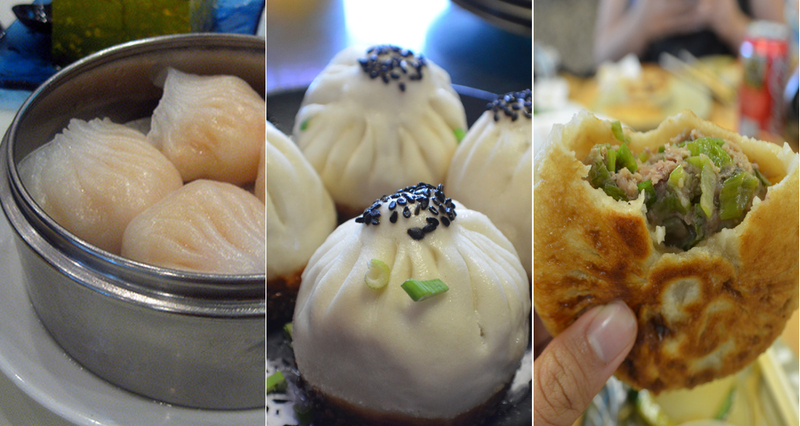 Dim sum never ever ends. The fun doesn’t stop at this Chinese lunch until your family has grabbed every steamer basket full of every kind of dumplings ever. 5. You’ve had your tenth cup of tea already. And don’t forget: You always pour it for everyone else at the table before you pour it for yourself. 6. 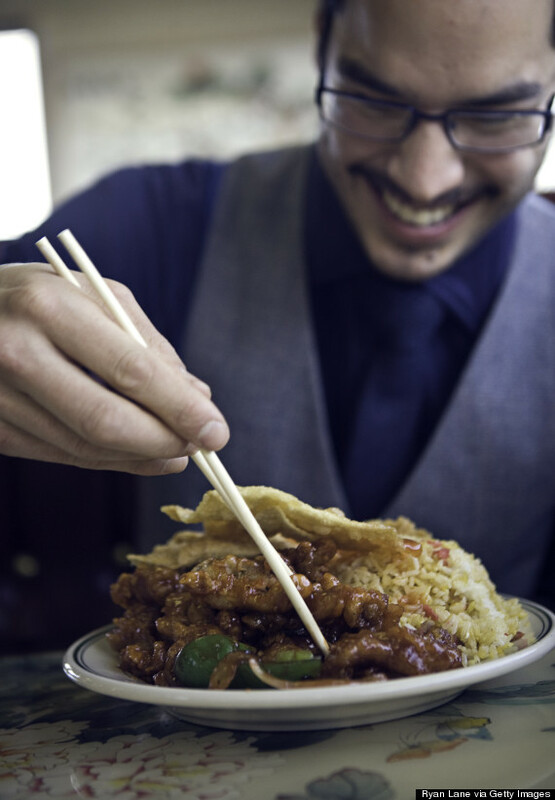 Knowing how to use chopsticks is essential to earn family approval. 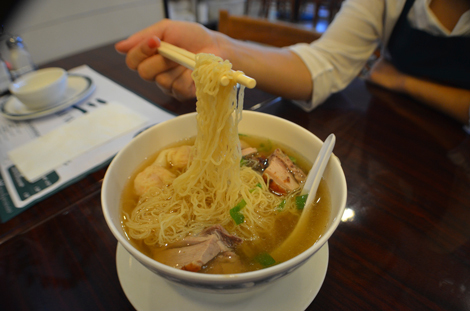 From the moment you are able to talk, you should also know how to use chopsticks perfectly. No excuses. 7. 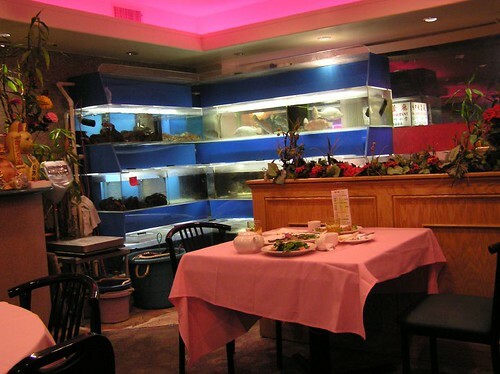 You can’t stop staring at the crazy fish tanks in the restaurant. 8. You always have to sit at the kid’s table at the restaurant. Don’t worry, you’ll have more fun there… and you’ll get more food! 10. 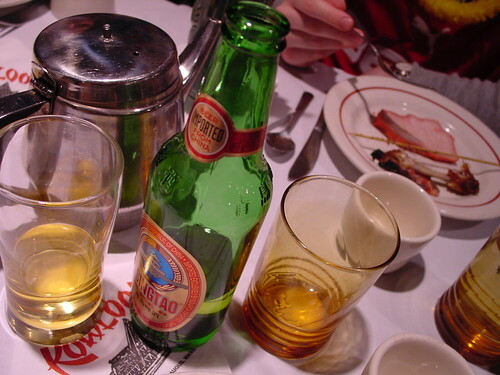 When you grow up, you know to bring your own Tsing Tao beer to dinner. It’s BYOB at these restaurants. 10. It is very important to learn how to navigate the Lazy Susan. 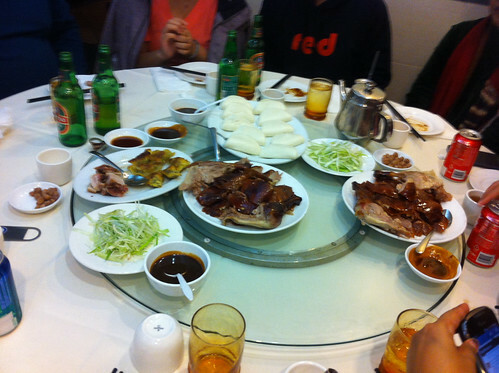 Once the waiter brings the plate to the Lazy Susan, all hands are on deck. If you aren’t fast, you may have to wait a long time before that food hits your plate. 11. 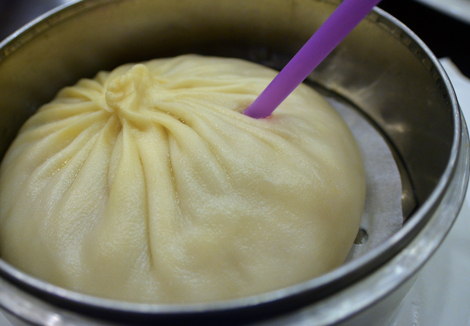 You always put red rice vinegar in your cream corn soup. If you don’t, you’re just doing it all wrong. 12. This is the best taco in the whole world. Forget about Mexican tacos. 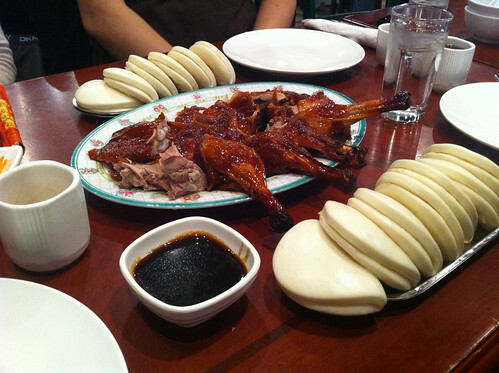 You know that juicy Peking duck wrapped in a fluffy bun “taco shell” and doused with duck sauce is way better. Because someone is going to eat the eye. 14. 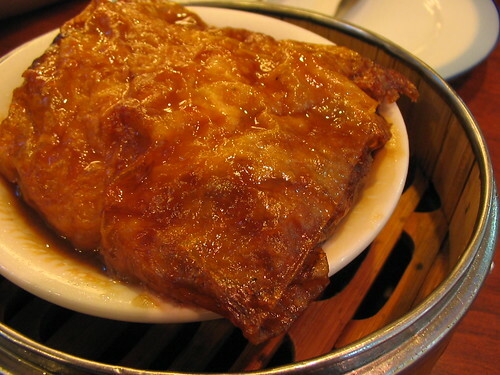 If you’re a vegetarian, this bean curd roll is your best friend. You gobble these up like your life depended on it. 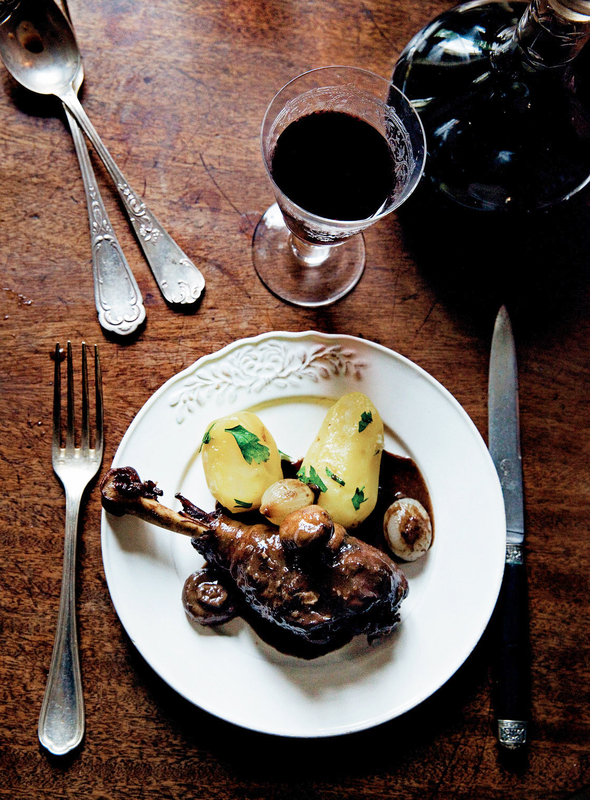 After all — aside from rice — there’s not much else you can eat on the menu. And you then feel the need to roll your eyes (even though you’ll definitely take a bite). 16. Bok choy is always an acceptable replacement for any green vegetable. Have fun with your Brussels sprouts and kale, we’ll take this delicious cabbage over those any day. 17. 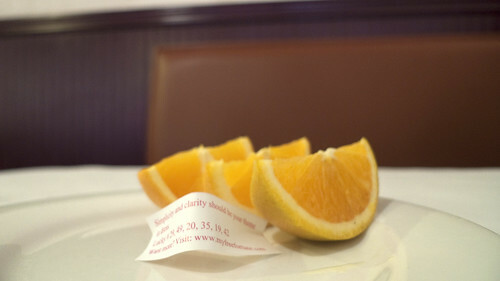 Orange slices make the best palate cleanser. There’s nothing more refreshing than a few fresh slices after a big dinner. 18. 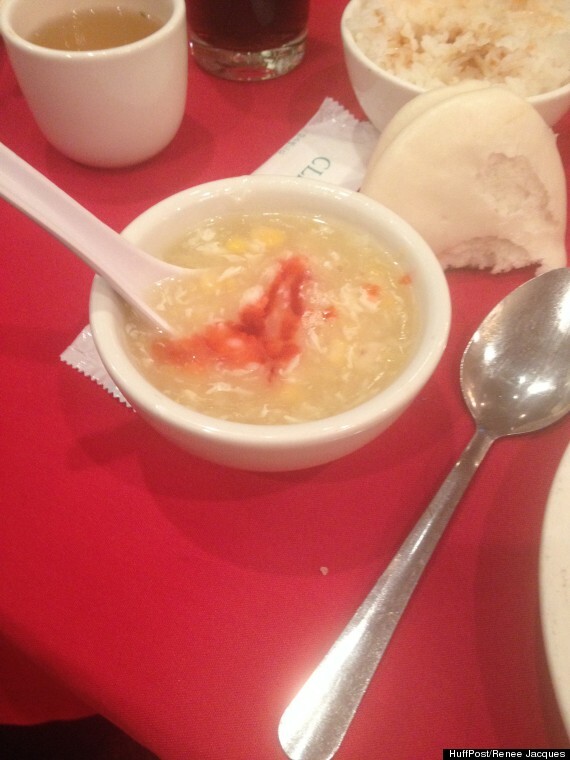 If someone in your family just gave birth, she may have been told to eat pig’s feet soup. 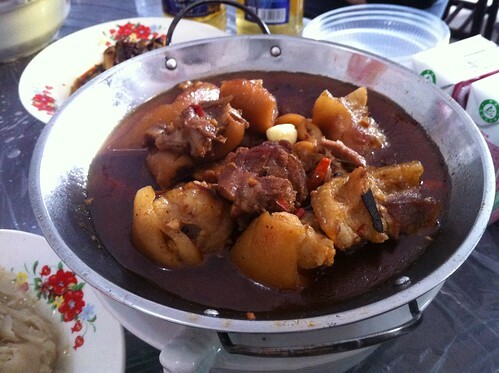 The Chinese believe pig’s feet soup warms the body from the inside out and that the iron and calcium from the pig’s feet mixed with the vinegar helps to purify a new mother’s blood. 19. 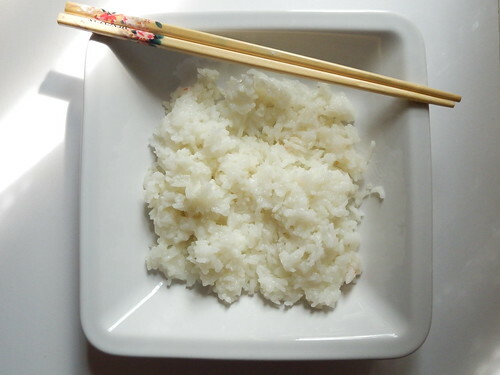 White rice serves as the main starch for most of your meals. This is eaten instead of pasta, bread or any other carb. Always. 20. 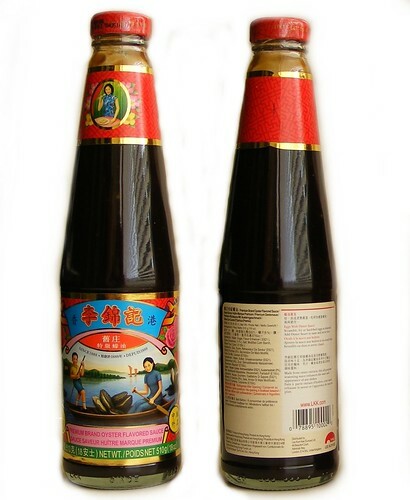 Oyster sauce can be used on anything. You definitely know the simple pleasure of eating white rice and oyster sauce. 21. 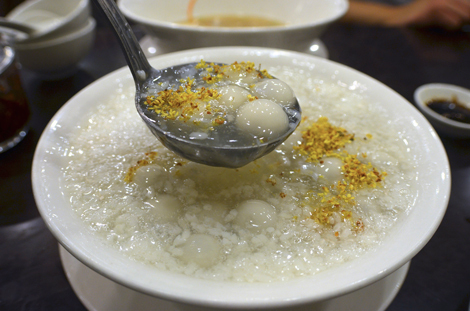 Your grandmother knows how to make the best jook. No food ever goes to waste. 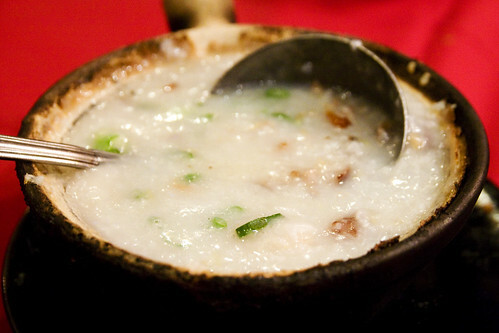 In fact, your grandma used the Thanksgiving turkey to make the most delicious congee or jook (rice porridge). 22. 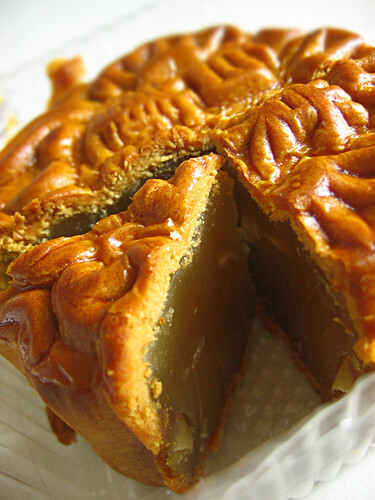 If it’s September, you’re eating mooncakes. 23. 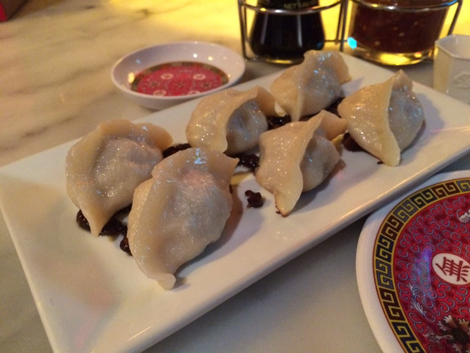 When someone thinks Chinese food is the same thing as takeout, you just shake your head. They have a lot of learning to do. 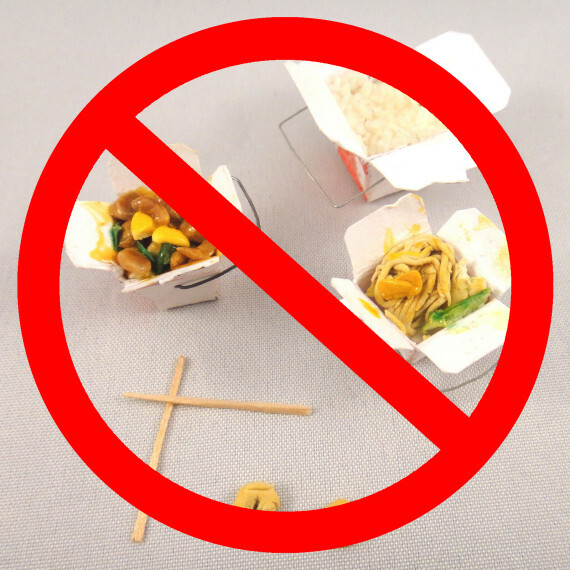 General Tso’s chicken and beef and broccoli are NOT real Chinese dishes, thank you very much. For a look at how many Hong Kong residents start their day, Fuchsia Dunlop shows us a popular breakfast spot of long standing. No sign of cappuccino and croissants here. 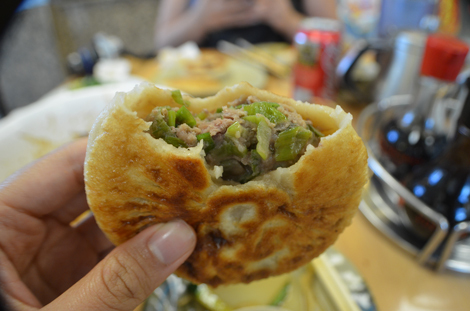 The patrons of the historical Lin Heung restaurant break their fast with strong tea and dim sum.